Aishwarya Rai Bachchan Career Box Office Collection Analysis Hit, Blockbuster and Flop Movies List. Former Miss World Aishwarya Rai Bachchan is one of the most Beautiful and talented Indian actress. She mainly works in Bollywood film industry. But she made her debut in silver screen with Iruvar which was a Tamil language film. Then she worked in Tamil, Telugu, Malayalam and Bengali movie. She also appeared in some Hollywood movies also. From 1997 to till now she is working in film industry. In her long career Aishwarya Rai Bachchan gift so many good film which made huge business in Box Office, some movie won award, some movie fall down in box office and producer lost their money. But Aishwarya Rai proved herself as most beautiful and successful actress in Bollywood. Today Dream Angel is going to give information Aishwarya Rai Bachchan Career Box Office Collection | Hit, Blockbuster and Flop Movies List of Aishwarya Rai Bachchan. Aishwarya Rai Bachchan Hit and flop movies list. So, let’s have look and do not forget to subscribe the channel for more update. Aishwarya Rai Bachchan made her debut with Iruvar in 1997 which was a Tamil film. 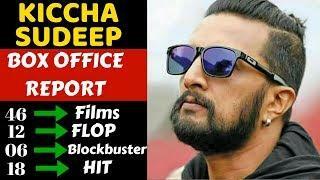 Though South Indian super star Mohonlal and Prokash Raj was part of this movie it was flop in Box Office. Then Ash signed Bollywood film Aur Pyaar Ho Gaya opposite of Boobey Deol in the same year. Aur Pyaar Ho Gaya also flop in Box Office. Ash find her first success in film career with Tamil film Jeans. Prashanth was opposite of her in film Jeans. It was Super Hit in Box Office. After Jeans beauty queen Aishwarya Rai appeared in Aa Ab Laut Chalen opposite of Akshaye Khanna in directional of Rishi Kapoor which was Average success film. Next She bring a stardom with Hum Dil De Chuke Sanam opposite of Salman Khan and Ajay Devgn. Sanjay Leela Bhansali directed Hum Dil De Chuke Sanam was highest grossing movie of 1999. Aishwarya got Filmfare best actress award. In this flowing year her another movie released titled Taal. Anil Kapoor and Akshaye Khanna starrer movie Taal also was a hit film. In the year 2000 Aishwarya Rai Bachchan first appeared in Tamil Movie Kandukondain Kandukondain. Mammootty, Ajith Kumar and Tabu also important part of this film. With film Kandukondain Kandukondain Ash got 3 back to back hit film that’s made her career higher. After Kandukondain Kandukondain Ash share screen with Shah Rukh Khan, Sharad Kapoor and Chandrachur Singh in the film Josh. Though Josh made just average business in Box Office but praised by all. Her next movie Hamara Dil Aapke Paas Hai made her proud again by bring a big hit in Box Office. After back to back 5 successful movie Aishwarya saw failure in Dhai Akshar Prem Ke opposite of Abhishek Bachchan but made super comeback with Mohabbatein opposite of Shah Rukh Khan. Mohabbatein was highest grossing movie of 2000 and got Blockbuster Verdict on Box Office. But her very next film is second collaboration with Sanjay Leela Bhansali and this time made it large than first time. Shah Rukh Khan and Madhuri Dixit was in lead role among with Aishwarya Rai Bachchan in Sanjay Leela Bhansali directed Devdas which was based on famous novel Devdas written by Sharat Chandra Chottopadhay. Aishwarya got Filmfare actress again. After Devdas Ash first time appeared in Bengali movie with Cokher Bali opposite of Bengali super star Prosenjit Chatterjee which was super hit in Box Office collection. Next movie two movie Dil Ka Rishta and Kuch Na Kaho was flop movie. Next appear multi starrer Khakee make average business. 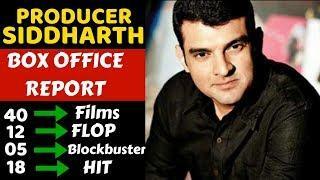 But very next film Raincoat losses all money and got Disaster verdict. Kyun...! Ho Gaya Na also flop. Such a bad time was for Ash. Then English film Bride and Prejudice gave one Blockbuster. But Aishwarya could not follow success in her very next 3 film. Shabd and Umrao Jaan was disaster and The Mistress of Spices was flop. After too many film Aishwarya Rai find success in Dhoom: 2. 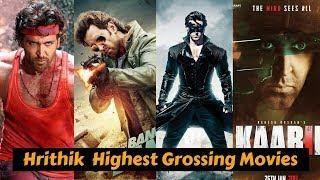 Hrithik Roshan starrer Dhoom:2 was highest grossing movie of 2006 and got Block Buster verdict in box office. Next film Guru also a super hit movie. Historical drama Jodhaa Akbar is one of the career best movie of Aishwarya Rai Bachchan career. But movie like Provoked, The Last Legion, The Pink Panther 2, Raavan became her headache before Enthiran released. Enthiran got a historical success. But then her appear in Action Replayy, Guzaarish, Jazbaa and Sarbjit just make large his failure list all movies was flop. But in multi starrer Ae Dil Hai Mushkil was Hit in Box Office but her last release Fanney Khan is going being flop again. Here all the images are collected from www.google.com Thanks for watching Aishwarya Rai Bachchan Career Box Office Collection Analysis Hit, Blockbuster and Flop Movies List.